P.S private parking available at all times at my new location. 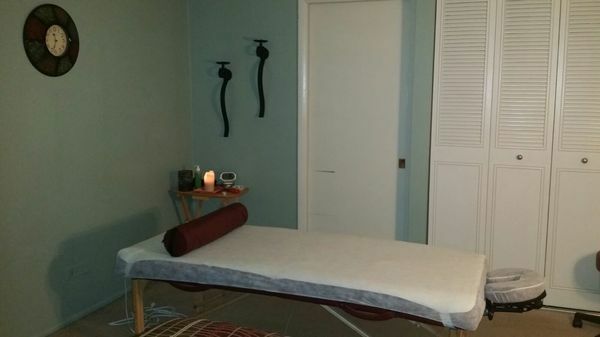 Licensed massage therapist here offering relaxing yet therapeutic and soothing body work. In my first year i had made a decent regular male clientele. Now that i have been in Business for more than 5 years, my business is getting even better and keep growing. Taking new clients and keeping my old ones happy, healthy and everyone is satisfied with a quality bodywork, is my goal. Please be...More advised that i have a cat at home in case you have serious allergy! Also, i only offer one hour sessions. email me here or text my number to set up an appointment. text messages is the quickest way to reach me at. Gathered by Waseem from admiring massage clients to share with you. I've been going to Waseem about once a month for 2 years now. I'm very glad to have found him. 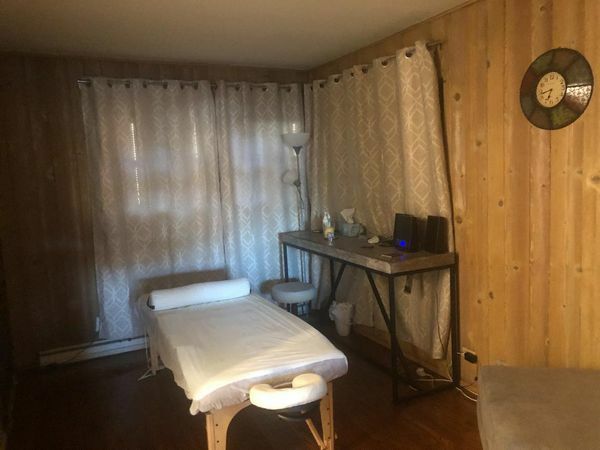 I have been to other massage therapists in Chicago, and occasionally outside of Chicago when I travel. None have matched Waseem's work. He is very intuitive and can sense what part of your body needs attention. Most recently my upper back has been tight, and I can feel the tension drift away as he works. He uses a combination of techniques on the problem areas. The massage never feels rushed. If I could rate him and his work higher than a 5, I certainly would. He has a very warm and friendly approach. He's quiet and very soft-spoken, which enhances the experience. He checks on me, but not excessively. The setup he has is very comfortable. the massage Waseem gave to me was outstanding. He asked about the pressure from time to time and he meticulously do it like a pro. Gave yourself a favor and hire him. i feel so relaxed after the massage. Everything was great! No complaints. Great massage therapist. Highly recommend. I've been getting massages from Waseem for over 6 months now. I am certainly glad I found him after moving to Rogers Park. His technique is excellent, and he is very intuitive to what and where the problem areas are with me. The amount of pressure varies with how tight I am, and I can feel the tension in my muscles disappearing as he works. He checks in to see how you are doing, but not overly so. He is very quiet, which I appreciate, since I'm there for a massage and not to have a lengthy conversation. His setup is very relaxing and inviting. I have nothing but high praise for Waseem and his work, and hope to continue as a regular client for a long time. I reached out to Wacheem early in the morning for an appointment the same day. He responded quickly and was able to fit me into his schedule. I'm glad he did as the massage was one of the best I've had. Wacheem has a nurturing soul. His massage is given with purpose from his training and is delivered with intent for his love of giving massage and comforting others. Wacheem is a genuine person and it was a pleasure to meet him. I will seek Wacheem again when I am in the Chicago area. Waseem is a very skillful masseur with a very kind demeanor. His hands kneaded away the many knots in my muscles but I also felt well cared for throughout the massage. I can't wait to go back for my second appointment. I requested a massage from Waseem on the spur of the moment and he was able to accommodate my request! The massage was very enjoyable, in particular his neck work, as he provided a range of pressure and techniques and made sure I was comfortable throughout. Very friendly man and I would certainly receive another massage from him! I had my first massage here and it was excellent. Some unique pressure points and amazing work on my neck. Will definitely go back. Waseem is an excellent therapist, he makes sure that pressure applied is to your liking and is very respectful. He makes sure that he covers his flow in massaging your body. I would definitely schedule another massage with Waseem. Overall, very professional and talented at providing a solid deep tissue/sports related massage. He takes the time to warm you up, stretch the area being treated, and customizes his pressure and touch well. 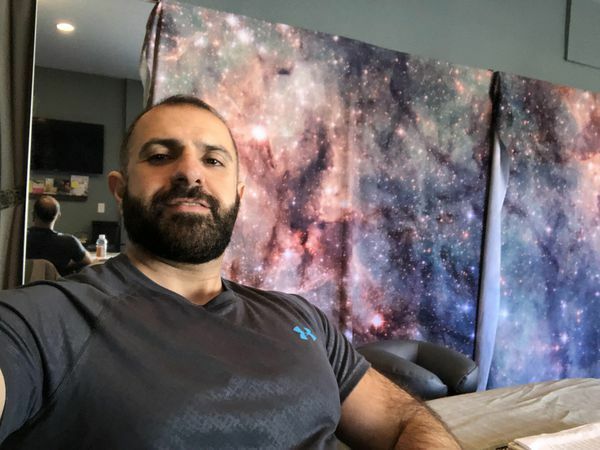 He has some great routines on certain muscles and addresses areas that sometimes get missed by other masseurs (e.g. forearms, rotator areas, abductors, gluten, etc.). Best massage in a a while!